Chicken soup for my soul and body… Thats what this one dish meal is all about. A wholesome non fatty chicken stock full of vegetables and rice. Inspired by the singaporean chicken and rice dish, i have taken my creation a notch further adding healthy vegetables to the chicken stock. I added vegetables that my family loves to eat so there is no wastage! This stock can be made in quantity and frozen too. You can also add noodles to the stock and make chicken noodle soup! Its amazing what can be done with a few chicken pieces and veggies! Nursing a cold? Need to eat light? This is a no oil recipe so its light on your digestive system too! Put the water to boil and once its boiled add the chicken pieces into it carefully. Bring it to a boil again and remove all the froth that forms. I use a strainer to do this. Keep on removing it till there is no froth left. Boil the chicken for ten minutes and then add salt and all all the vegetables. Boil for an hour. Remove the stock from the heat. Remove the leeks, cabbage, celery and onion and discard. Keep the rest of the vegetables to serve. Remove the chicken and debone it. Heat the stock and add the rice and cook till the rice is done. Add soya sauce, white pepper and a few drops of sesame oil to taste. To serve, spoon the soup and rice in a bowl. Add the vegetables of your choice and chicken. Serve with red chilli sauce. 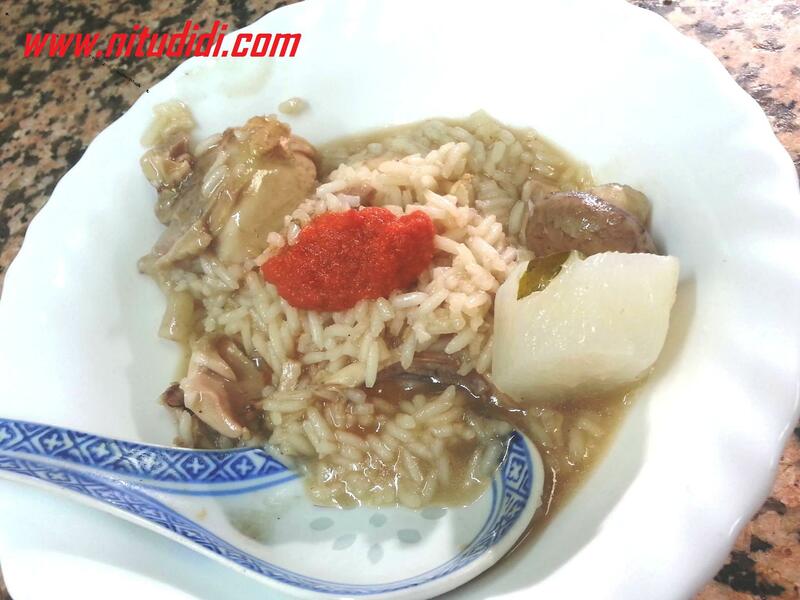 This entry was posted in Chicken, Fusion, Gluten Free, Healthy Options, Indochinese, Low Cost, Magic Bullet, Rice is Nice, Soups-hot and cold and tagged soup chicken non fat healthy. Bookmark the permalink.